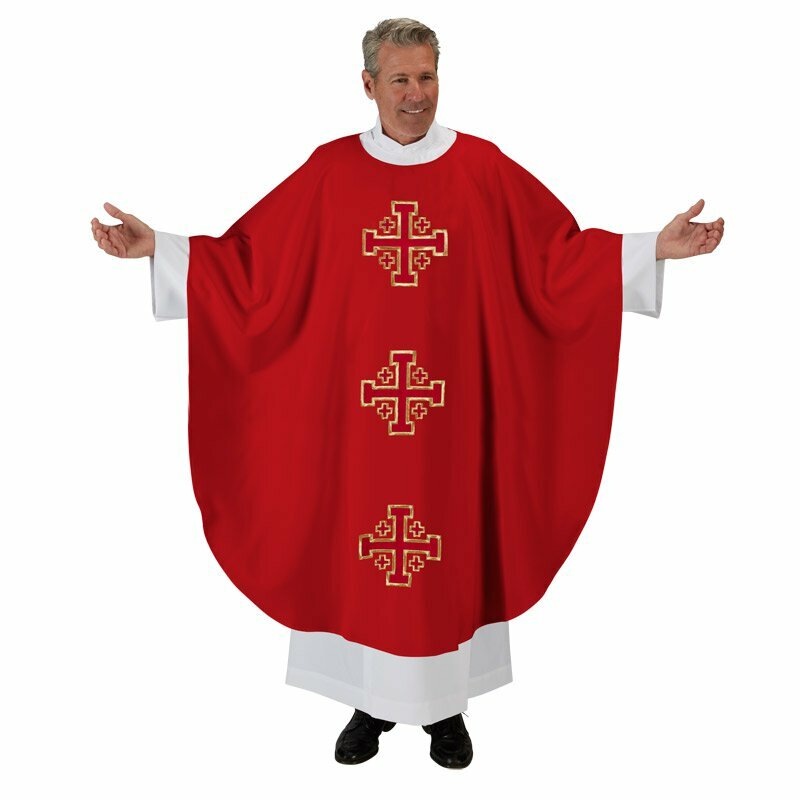 The customer favorite round neck chasuble from R. J. Toomey™ is now available in an embroidered Jerusalem Cross design. The same pattern and fit you already love. 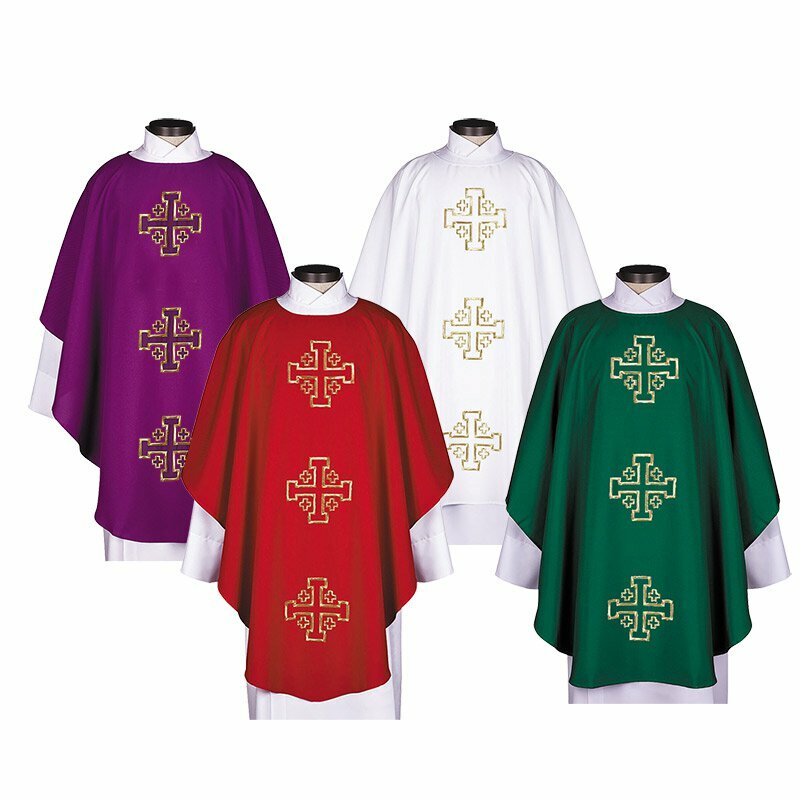 All chasubles come with a matching inner stole. 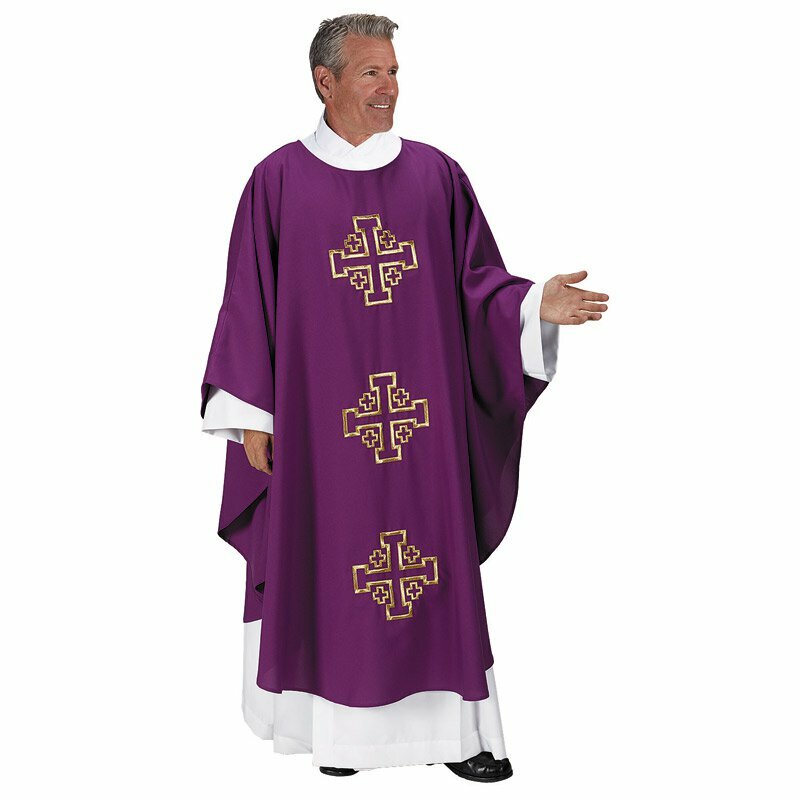 Available in Purple, Red, White and Green. Specify color when ordering.